Bahais In Iran – Why the fuss? Regarding the hue and cry about the arrest of some Bahais in Iran, I would like to make some points. Firstly, the government of Iran is an independent government with its independent laws and independent constitution. It has its reasons for the arrest of these Bahais and we should respect that. Just as America, Israel and the West in general would like to maintain their sovereignity, Iran would like to do that as well. Secondly, people should keep in mind that world-wide, Bahais do not have a track record of respecting local laws (except in the West and Israel). Bahais frequently break local laws and have been help responsible for conversion activities, spying etc. Hence it is difficult to give them benefit of doubt that the Bahais are indeed “innocent”. Thirdly, if Amercia / the West is so concerned about the state of the Bahais in Iran, why does it not offer asylum to these Bahais in America, Israel, Britain. That would solve the problem once and for all. All Iranis in any case are hankering to go to America. This move will kill two birds with one stone. Incidentally Bahais are banned in Saudi Arabia as well. 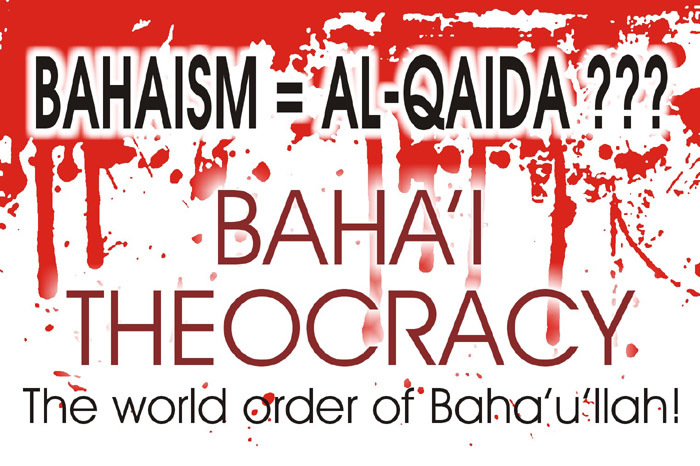 If a Bahai is caught in Saudi Arabia, he would probably be executed for blasphemy (a lot harsher than being arrested). I dont see people making too much noise about it (rather any noise about it) – perhaps because Saudi is an ally of the West and Iran is not. So this whole thing about persecution of Bahais in Iran is hogwash. Bahais are banned not only in Iran. They are banned all over the Middle East and in several other Muslim countries. Iran is being singled out because they want to paint a poor picture of Iran in the media. That is all. Wait, there more…I secretly believe that the Bahais dont want their “friends” in Iran to be released. What purpose will that serve? One Bahai in prison is more valuable than one free Bahai. Simply because it gives this community to be in the press all the time, it gets them brownie points for sympathy and in any case, apart from the sympathy factor, there is’nt much to talk about the Bahai Faith. Opium Smoking Baha’is had low ideas of honour…. 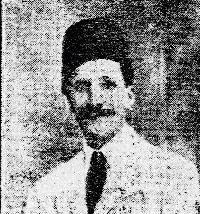 Boykin correctly pointed out that the Bab had appointed Mirza Yahya as his successor. Baha’u’llah essentially stole control of the movement from his brother, despite the fact that the Bab, the very manifestation of God (in their view) had appointed Mirza Yahya. The Baha’i explanation of this is as ingenious as it is sinister. They claim that the Bab only appointed Mirza Yahya publicly as a rouse or cover for Baha’u’llah. That is, the Bab actually appointed Baha’u’llah as his successor, but publicly put forward Mirza Yahya in the event of persecution. 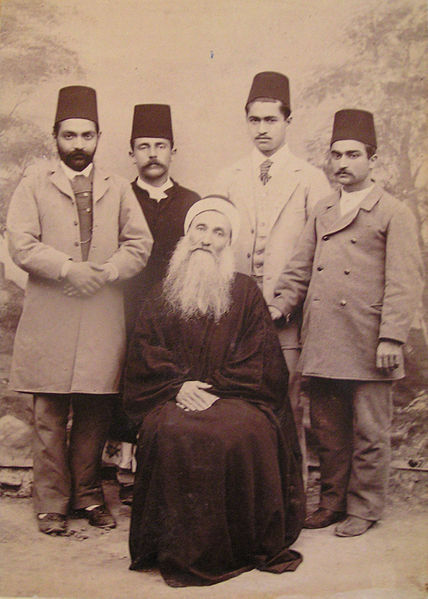 “We have seen that Subh-i-Azal, the half-brother of Baha’u’llah, was appointed by the Bab as his successor. According to Abdul Baha, this appointment was a dishonest subterfuge on the part of Baha, arranged by him through secret correspondence with the Bab, in order that Baha might be relieved of danger and persecution and be protected from interference. . . This account shows the low ideas of honour and truthfulness in the minds of Baha and Abdul Baha” (Wilson, p. 204). Bahais Are Not Just Political…. … They Are Hypocritical As Well. The Baha’i faith is one of the most political movements around. After all, principles such as the ending of absolute national sovereignty, world government, universal currency, universal language, world tribunal, anti-communism, retention of constitutional monarchism, the abolition of non-Baha’i religious legal systems the retention of a class system, the abolition of tariffs, international police force, and so on are among the hottest political agendas. Baha’i Faith is now no more concerned about Writings of Baha’u’llah, the laws of Aqdas and so on. What it is now concerned about is issues like the Trademark Registration, the incorporation of so called ‘Spiritual Assemblies’, the formation of External Affairs Departments with the objectives of establishing cordial relationship with political leaders and media etc. Why Do Bahais Deny the UHJ Being Clergy? The Bahais have a weird habit of denying truth and reality. 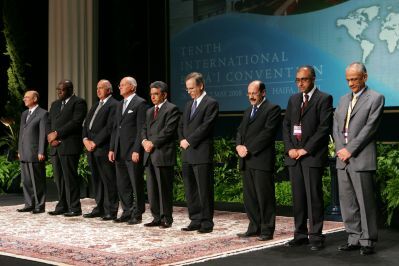 One of the many Baha’i denials is that they insist that there is no clergy in the Bahai Faith. They seem to forget that the UHJ, the institution within the Bahai Faith that has the power to legislate laws, excommunicate etc runs exactly like a clergy being it is a clergy. Bahais like to insist that the clergy are a bunch of paid people who are given duties that are ritualistic and that the UHJ is not doing rituals. But the simple fact remains that Bahais do regard the UHJ as infallible, thus making them a special class of people with the Faith. Furthermore, the UHJ, as mentioned before, is given the power to legislate and excommunicate people. This time the Haifan Baha’i Supreme Body is officially interfering in the internal affairs of another country. This time under the pretext of supporting Human Rights. Although it is a known fact that the reason for supporting is something else. It seems that the BIC is under severe pressure from its Big Bosses. If the BIC is really truthful in its claims of supporting Human Rights, then why shout only on one country and ignore the other. There are so many atrocities being committed in and by the Zionist State of Israel against the Christians and Moslems but not even once the Haifan Supreme AO issued statements condemning these acts of violence and killing.